The Adesso SlimTouch Mini Keyboard combines the control of an integrated touchpad with the features of a standard keyboard to provide a small, powerful input device. This touchpad includes a scrollbar for faster browsing and productivity, without the need of a mouse. This thin and compact keyboard is ideal for slimline PCs, notebooks, POS stations, kiosks and any small space station. 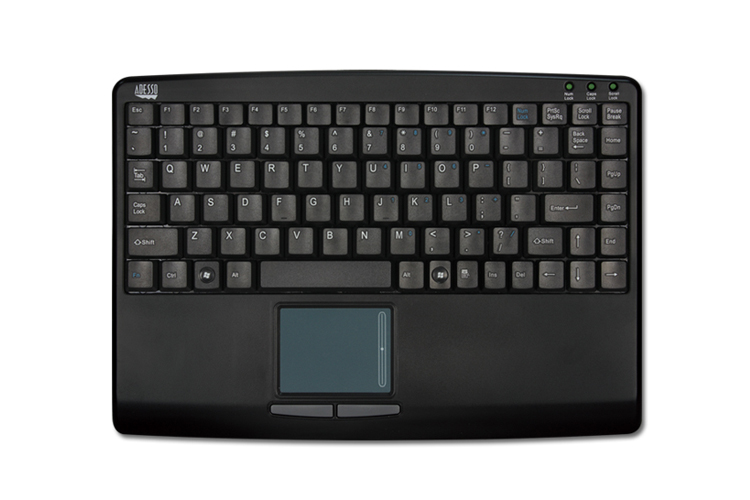 The SlimTouch Mini Keyboard built-in touchpad eliminates the need for a mouse and saves valuable desk space. The GlidePoint Touchpad puts computer control at your fingertips. Navigate, scroll, zoom, access files and enter data all with just a light touch of the finger. 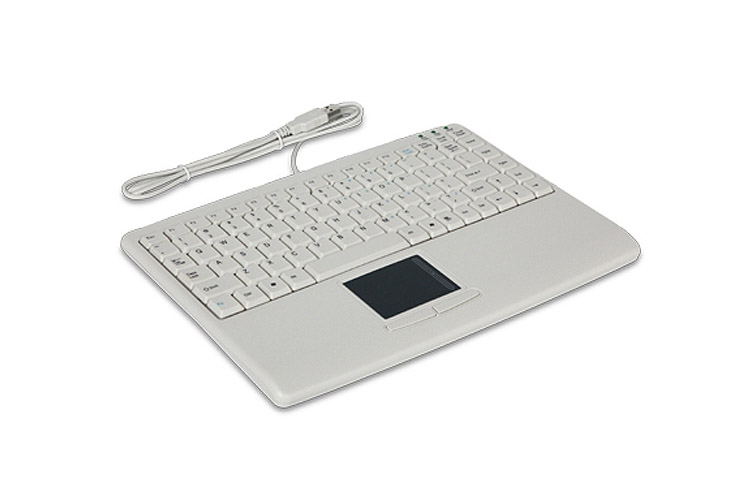 This mini keyboard is designed with a Windows® key layout and features an embedded numeric keypad, for easy data inputting. The keyboard is less than 12” wide and is a great space saver, it is ideal for use in POS, kiosks, warehouses, manufacturing environments and any small working area. The keyboard’s molded wrist rest provides extra comfort and support while typing. The built-in touchpad is also conveniently located in the center of wrist rest so minimal arm movement is needed to control cursor. The low profile membrane keys offer fast typing, a great tactile response and a lifecyle of more than five million keystrokes.